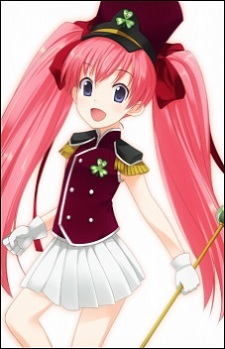 Mao is the girl with pink hair who defends Japan from the ground by using a tank (the tank was officially named 'White Tiger,' but she refers to it as 'Mee-kun' for reasons unknown). As revealed in assorted Physical Education scenes, she is a very slow runner. Also, going by a statement she makes during the sports fest, she has no mother. Her clover pin is green.